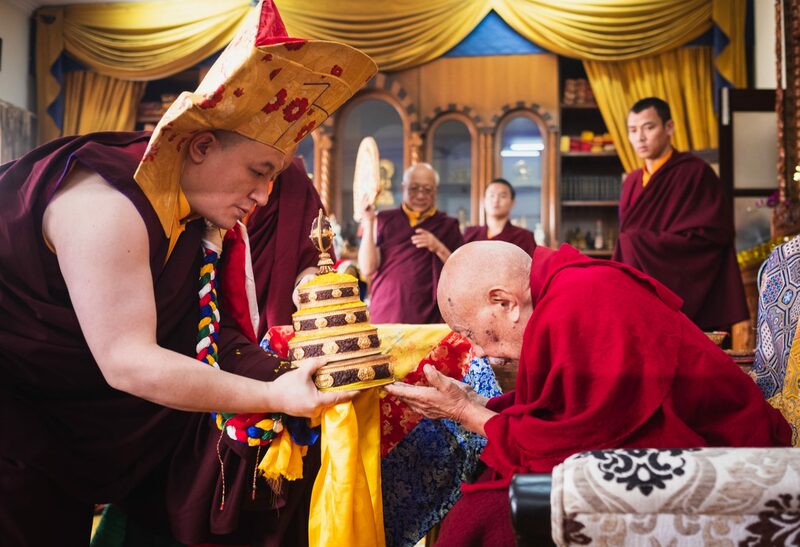 His Eminence Luding Khenchen Rinpoche, the 75th head of the Ngor tradition of the Sakya school of Tibetan Buddhism, presided over the hair-cutting ceremony of Thugsey, the son of Thaye Dorje, His Holiness the 17th Gyalwa Karmapa, and Sangyumla Rinchen Yangzom, at the Karmapa International Buddhist Institute (KIBI) on 11 January 2019. 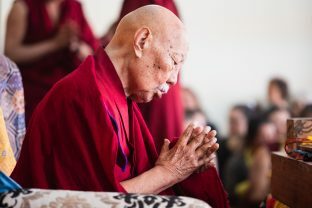 Luding Khenchen Rinpoche, a pre-eminent spiritual master and lineage holder, was born to the clan of Shang, Sharchen or Ludingpa, which is renowned for producing great scholars and siddhas. 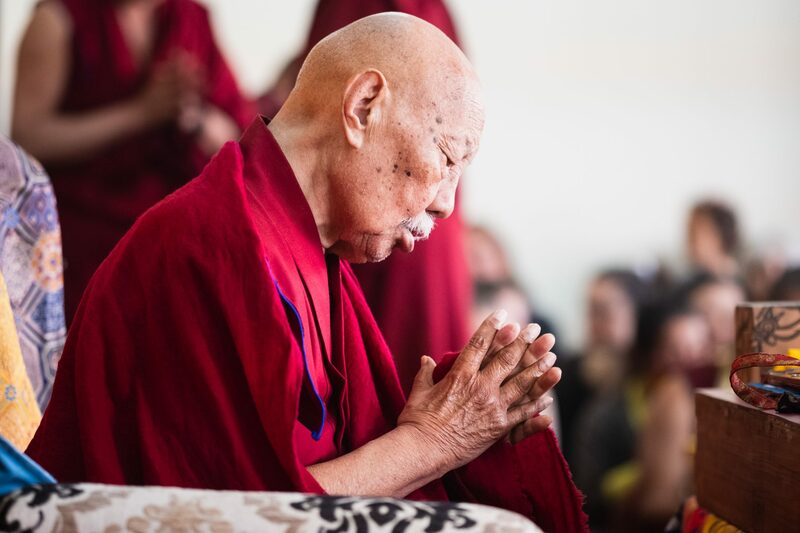 Luding Khenchen Rinpoche has a vast and profound Inner Wealth; a prodigious knowledge of the Buddha dharma; and is deeply respected by masters and students throughout Tibetan Buddhism. 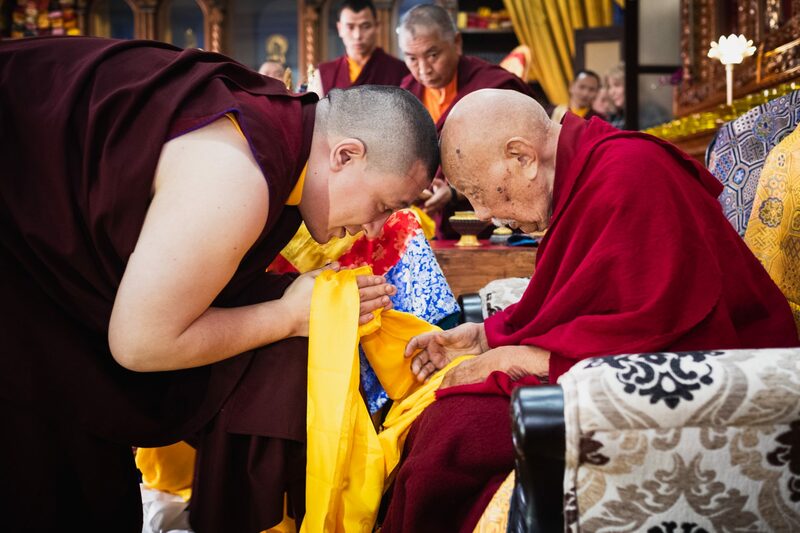 He is also one of the greatest teachers to Thaye Dorje, His Holiness the 17th Gyalwa Karmapa. 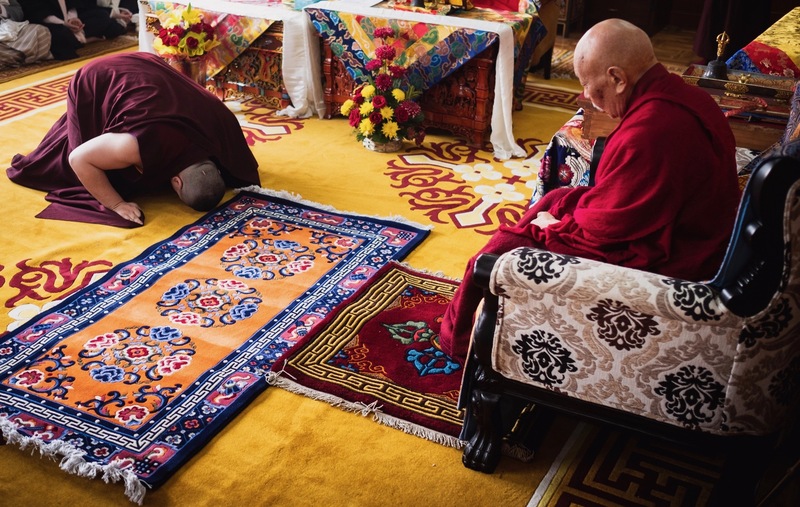 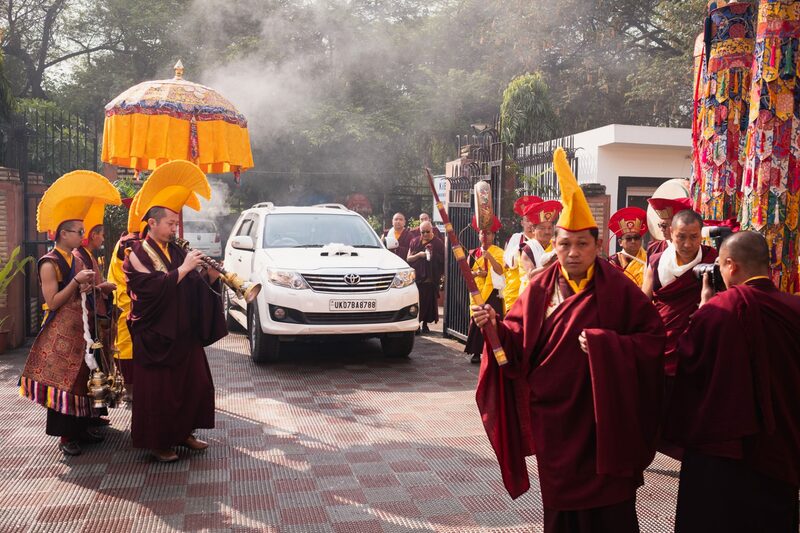 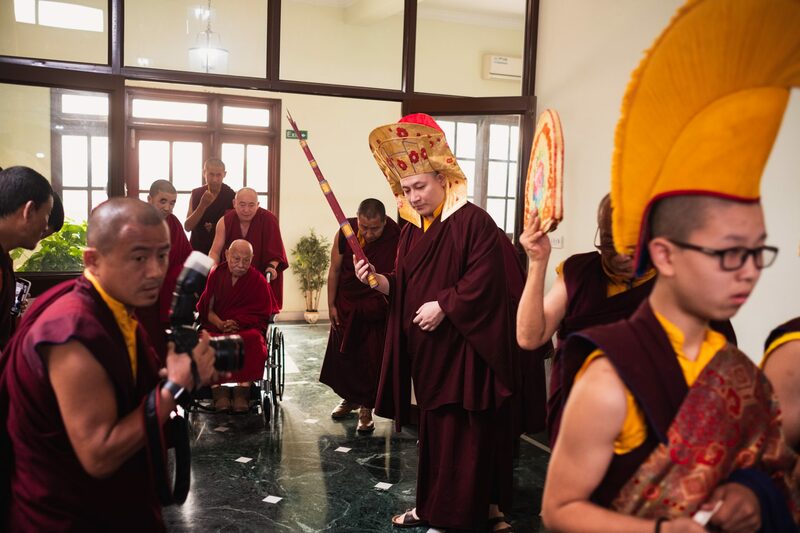 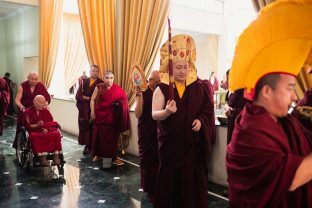 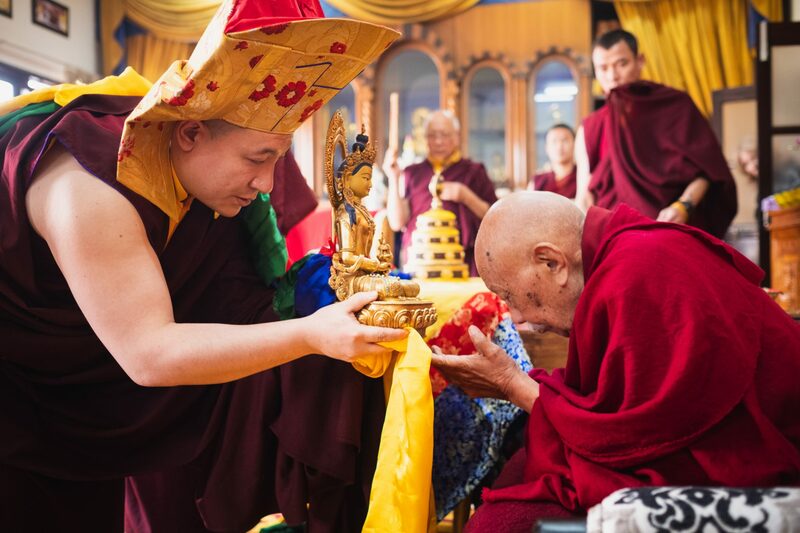 In the presence of Karmapa, Sangyumla, and venerable monks from various Karma Kagyu monasteries, Luding Khenchen Rinpoche led the ceremony for Thugsey, symbolizing his taking refuge in the Three Jewels: the Buddha, the Dharma and the Sangha. In accordance with tradition, Thugsey was also given a refuge name. 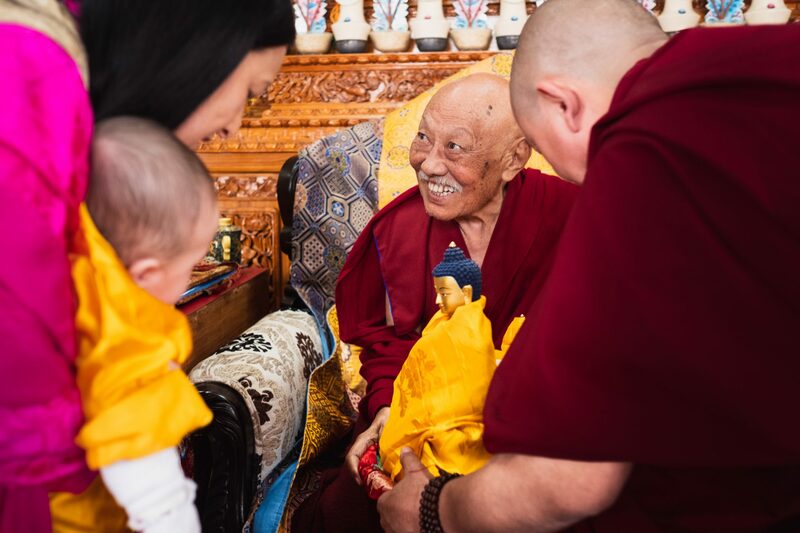 With humble appreciation, Karmapa offered Luding Khenchen Rinpoche a mandala and a symbolic offering of body, speech and mind for the teacher’s longevity. 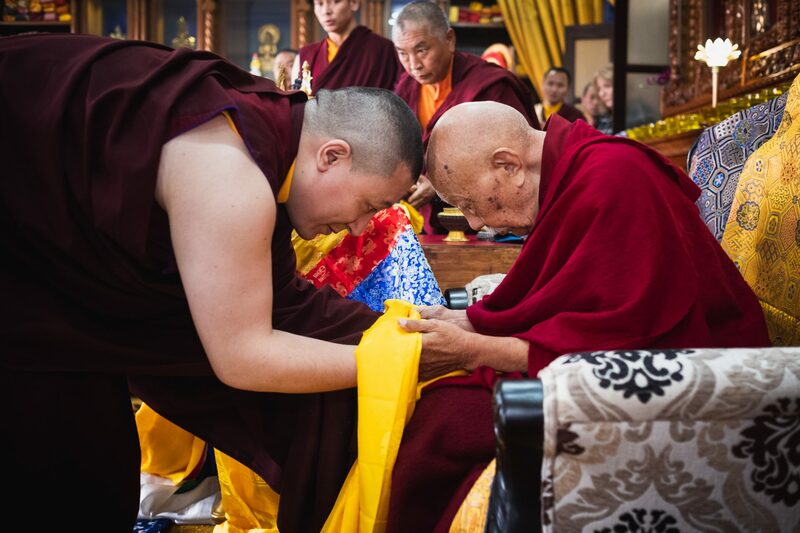 The hair-cutting ceremony of Thugsey was an historic, joyous, and auspicious occasion, even more so due to the presence of such an authentic master as Luding Khenchen Rinpoche.